The Day of the Dead, also known as Dia de Muertos in Mexico, is an official holiday celebrated throughout Mexico on October 31 through November 2 of every year—the same day that most Americans celebrate the holiday known as Halloween. So, just what is the Day of the Dead, what are its origins, and how is it celebrated? We’ve got all the details in this blog! It is believed that the origins of the Day of the Dead date back to the 16th century. Interestingly enough, the rituals used to celebrate the Day of the Dead originally took place during the summer months (the celebration actually lasted the entire month of August). It wasn’t until the late 20th century that the celebration was moved to the end of October and beginning of November. Specifically, the Day of the Dead is a holiday celebrated in Mexico to honor and remember loved ones who have passed away. November 1st is a day dedicated to remembering those who passed during childhood, whereas November 2nd is used to remember deceased adults. Today, the holiday is celebrated not only across Mexico (especially in central Mexico), but in some areas of the United States and beyond. There are many interesting traditions associated with this unique holiday. For example, as part of the Day of the Dead celebrations, families “invite” their deceased loved ones to a memorial dinner in their honor. This is usually done by placing photos of the loved ones on altars and elsewhere around the home, while also offering up food, drinks, colorful skulls, and even poems that have been written for them. Some families will even meet a local cemeteries where loved ones are buried to hold a meal or other memorial ceremonies for their passed loved ones. 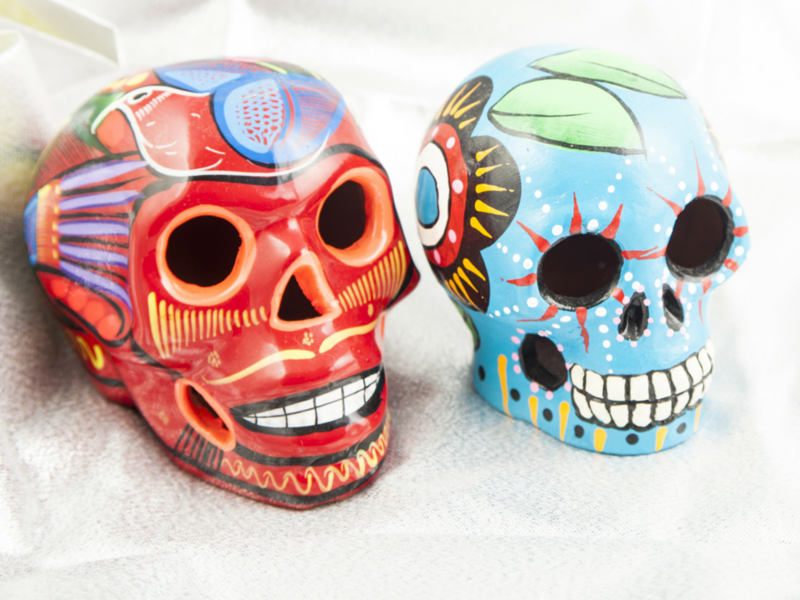 The creation of colorful sugar skulls is also a huge part of Day of the Dead traditions. This was first introduced as part of the holiday back in the 17th century, and today, large sugar skulls are often placed on gravestones of loved ones as offerings on this holiday. For those planning on participating in the traditions of the Day of the Dead this year, an important part of the planning process is making sure to have meals figured out ahead of time. Generally, the best thing to do is to serve up authentic Mexican dishes. Many people celebrating the Day of the Dead like to prepare their deceased loved ones’ favorite dishes, whether they be appetizers, snacks, full-course meals, or desserts. Some common dishes prepared for the Day of the Dead include pan de muerto, sugar skulls, tamales, and candied pumpkin. As you can see, the Day of the Dead has a very rich history, dating back more than 500 years. For people in Mexico and beyond, this holiday is a great opportunity to celebrate and remember loved ones who have passed on while also getting together with family to better appreciate life.